Good: Great sound direction, eerie story. Bad: Not really scary, abandons a lot of what made the first game so great. To make a long story short; the amount of horror-games I actually managed to beat can be counted on one hand. Suffice to say, it took all my willpower to finish Amnesia: The Dark Descent. So now we’ve got part two, A Machine for Pigs. But does this sequel live up to the fear-invoking name of its predecessor? A Machine for Pigs tells a dystopian tale. You wake up as Mandus, a man living in a world on the brink of entering the twentieth century. The cogs of industrialization are spinning wildly and are right at the heart of this game’s story. 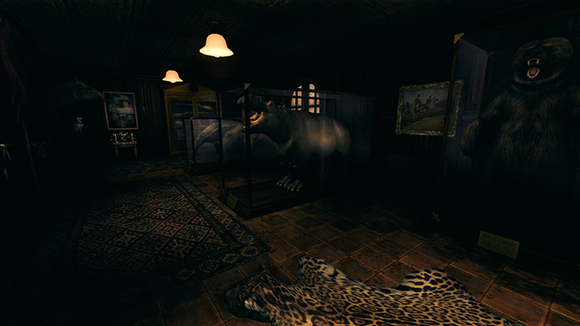 Just as Dark Descent’s protagonist, Mandus wakes up in his mansion with a bad case of amnesia. It’s spooky stuff. Mandus’s house is creaking on its hinges, scattered notes and phonographs shed some light on the events leading up to your awakening. 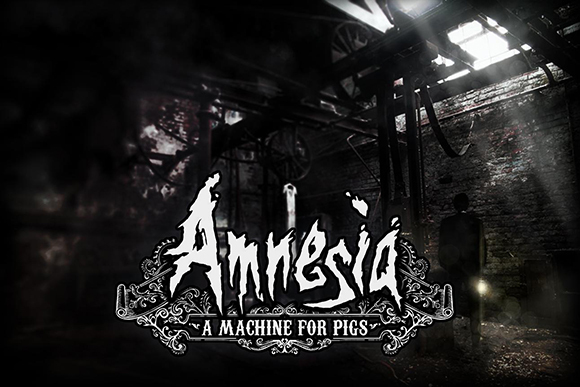 Amnesia: A Machine for Pigs relies heavily on its narrative, even more so than its prequel. Mind you, the two games are very different beasts. This second installment ditches most traditional horror-elements in favor of a setting where rampant machinery, wrought by the hands of disillusioned men, ends up creating monstrosities. I won’t go into detail too much, this is, after all, a game designed by The Chinese Room, the same developer who made Dear Esther. Which means the game is at its best when you can experience it yourself. What I can tell you: manpigs are running rampart and they’re seemingly created by a gigantic machine that’s rooted underneath a large part of London. Essentially you’re playing a harsh critique on mankind’s drift for unrelenting change. During the nineteenth century, industrial progression was all that mattered, no matter how many lives were lost. A Machine for Pigs wants you to wonder if that same progression that led us towards two great wars was worth it, or if mankind was lost to madness. I wouldn’t call Amnesia: A Machine for Pigs a pretty game. It’s not bad, but even compared to some indie-games; it’s certainly no looker. 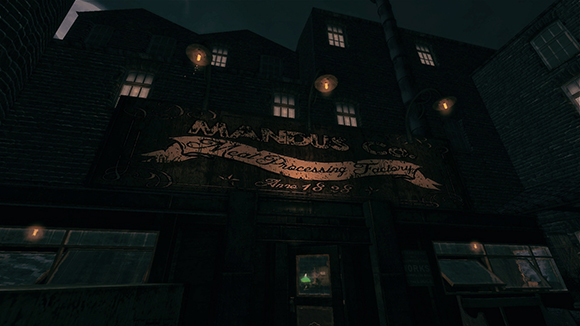 Instead, like any horror-game, Amnesia makes clever use of light and shadow to create a captivating setting. The same tricks from the first game are used as well. Think blurred vision and eerie blue and green lights. This is where A Machine for Pigs truly shines. Its musical score is phenomenal and, more than any other factor in this game, will create a sense of foreboding. The soundtrack actually manages to make up for a lack of confrontation with any kind of enemies – more on that later -. Be it creaking doors, the sound of Mandus’s mansion only just withstanding a quake, the ominous snorting of a nearby manpig or the sound of a ringing telephone, breaking the silence, everything has been implemented in such a way that the effects alone are enough to give you goose bumps. I’ll start of with kicking down an open door; A Machine for Pigs is not as scary as its predecessor. 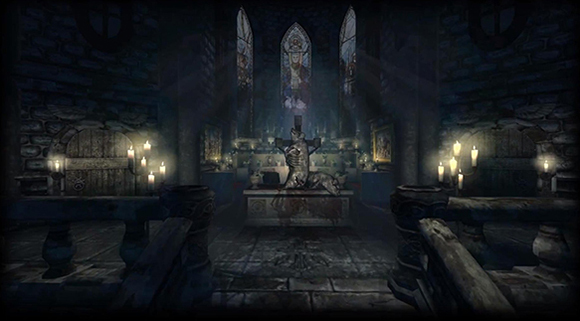 Even though the music – as mentioned above – sets the mood perfectly, the developer’s choice to remove many of the original game’s features has somewhat ruined the experience. First of all there’s the lack of confrontation with any actual enemies. Early on it already becomes abundantly clear that this game will try to scare you with faint glimpses instead of trapping you together with any kind of monstrosity. As such, it won’t take long until you’re constantly pressing down the shift key. Not because you’re running away, but because the fear factor is gone. There’s just no reason to take things slowly. The few times you do have to avoid a few pig-shaped monsters, probably won’t scare you much either. Again, you’ll be running for the wrong reasons; not out of fear, but because there’s no way to defend yourself, while getting punched to death. I’m not saying you should be able to do so, but the way confrontations are handled leaves much to be desired. For instance; while the first Amnesia had you managing your use of your lamp as to not to attract unwanted attention, but at the same time stay out of the darkness long enough to remain sane. It also allowed you to hide from enemies. In A Machine for Pigs? Not so much. Instead, monstrosities will know exactly where you are, even though you’ve remained hidden. It’s moments like these that the game feels a little bit too scripted. There are other changes; your lamp no longer needs refilling, there are barely any items to scavenge and what little you can find, can only be picked up in order to use it in a basic puzzle a few meters down the road. A Machine for Pigs is not the successor to The Dark Descent we had hoped it to be. Dear Esther-developer The Chinese Room’s approach is too different for that. Don’t get me wrong; this is a decent game. One with a great narrative and excellent sound effects. But, it’s not a horror-game. Instead, you get a digital story that takes it upon itself to spout a lot of critique about mankind’s everlasting battle for industrial and technological progression. Long story short; If you’re looking to get spooked, look elsewhere.